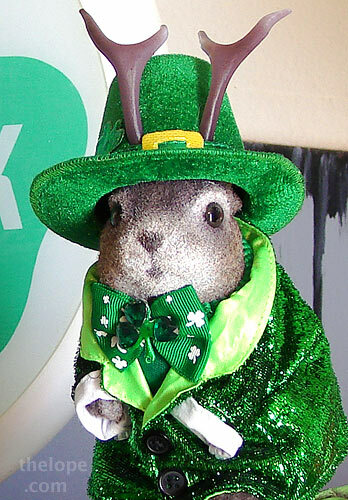 Here at thelope.com, we have a long-standing tradition of celebrating St Pat's day by wearing cheap plastic stuff made in China and by throwing as many green pixels onto your screen as possible. 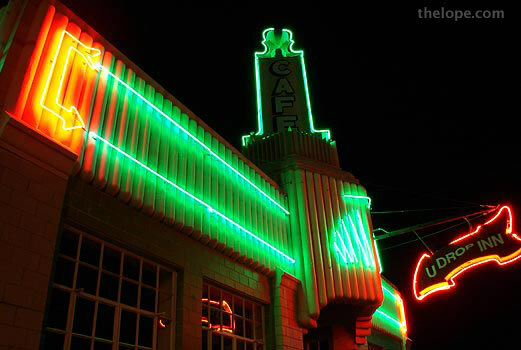 And a few other goodies, like the now-gone neon sign for Murphy's Pub in Joplin, Missouri. 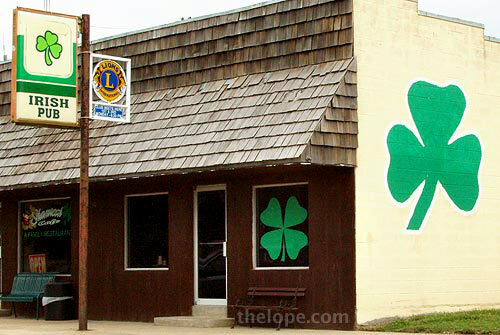 In 2008 we went back to Shamrock, looked at Tulsa's Blue Dome district and met a couple of Doxies. 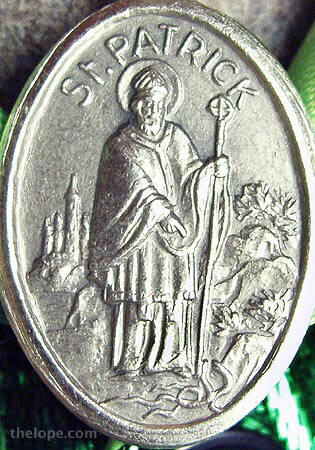 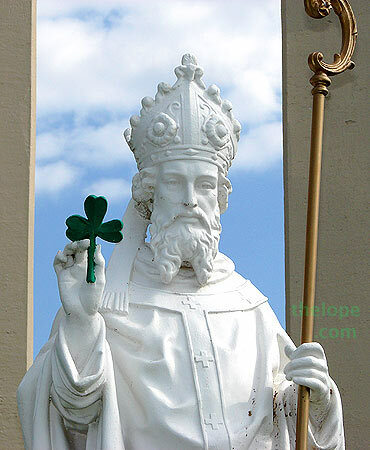 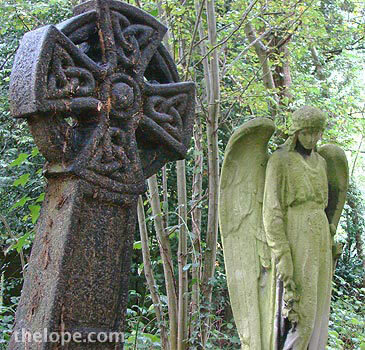 St Patrick himself...OK, well, just a statue in Great Bend, Kansas, starred in our 2009 post. 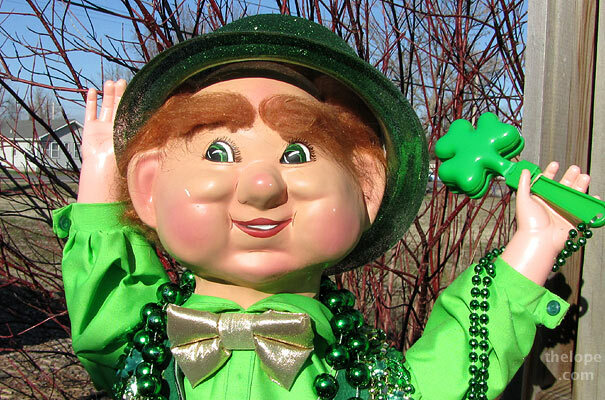 2010 saw a vintage automated leprechaun.